Dr. Housing Bubble (based in California), in "The comprehensive state of the US housing market", asserts that of the 129 million residential units in the United States, some 15,950,000 are vacant, resulting in a huge oversupply of residential stock across the country. Other United States commentators are making the same assertions, such as Colin Barr of Fortune magazine with "Housing market still faces a big glut". However – after a close read of the "US Census Residential Vacancies and Homeownership Report" released October 29, 2009, the figures are hardly cause for alarm. As of the 3rd Quarter 2009, Table 3 illustrates that there are an estimated 130.302 million housing units in the United States, of which 111.459 million (85.5%) are occupied, with 75.339 million (57.8%) owned and 36.119 million (27.7%) rented. The balance, being some 18.843 million (14.5%), is described as “vacant” (with a revised 3rd Qtr 2008 18.448 million units alongside). The “vacant” are loosely broken out in to year round, for rent, for sale only and seasonal. There has been no dramatic shift in these figures over the past 12 months. The US Census Population Clock states that the present US population is 308 million. The Census Bureau Residential Report illustrates that in the 3rd Quarter 2009, the estimated vacancy rate for usually occupied rentals was 11.1% (9.9% 3rd Quarter 2008) and 2.6% (2.8% 3rd Quarter 2008) for homeowner housing. There is nothing much to get excited about there, and in fact the somewhat elevated “rental vacancy” could prove a boon to the poor, particularly in regions with grossly excessive rents. The importance of "vacancy cushions" cannot be over emphasized, as they provide the necessary time for the construction industries to gear up, so that unnecessary property inflation does not occur. The US Census Quickfacts (Texas page - with US figures alongside) states that the 2008 US population for persons per occupied household in 2000 was 2.59. As societies become more affluent, people per household should fall (note: Texas persons per household is slightly higher on these 2000 figures at 2.74 per household, likely due to the higher Hispanic population with larger families). Conversely – through these economic downturns, it is likely that household sizes would also increase somewhat. For example, in using the US Population Clock as a rough guide with the 308 million population figure (and deliberately ignoring, for the purpose of this discussion, those in institutional care etc), if the people per household overall increased from, say, 2.59 per household requiring 118.53 million residential units – to, say, 2.79 people per household (as economic conditions worsen), just 110.03 million residential units would be required for occupation. Around 8.5 million less were occupied during the peak of the boom. Furthermore, significant numbers of second/vacation homes would no longer be required, as households struggle to lower their expenses through this economic phase. As an example, during the decade of the 1990s in Australia – as people became more affluent and family sizes decreased – household sizes moved from around 2.8 per household to approximately 2.6 per household, which was a big driver of the residential construction industry in that country. As they became more affluent, they bought or built more second/vacation homes as well. Australia’s population increased by about 12% through this period, as its housing stock increased by in excess of 22% (access Australian Bureau of Statistics for further information). Property commentators' “estimates” are always interesting of course, but as with my own, should be treated with greatest caution. The critical issue in terms of housing is not necessarily demographics but THE ONLY TRUE MEASURE OF SCARCITY AND ABUNDANCE: PRICE. Over the years, Dr. Housing Bubble and many other American commentators have persisted in ignoring the glaring contrasts of the California and Texas housing markets. They have treated all markets as the same, without looking into profound regional differences. The latest "Houston Association of Realtors Sept 09 Monthly Report" makes very interesting reading indeed. For the months of September 2008 and September 2009, the numbers are as follows: property sales from 4,336 to 5,654 (+30.4%), dollar volume from $0.877 billion to $1.102 billion (+25.7%) and median single family sales price $155,920 to $156,200 (+0.2%). This performance reflects the reality that Houston (as with Texas and most of American heartland) is a “normal market” where supply is not purposely constrained and politicized. I touched on these matters in an article in February this year. Now let’s turn to discussing some numbers about “abnormal markets” and what is accurately referred to as the “Failed State of California” ("Failed states: Washington Examiner"), where it appears the politicians are determined to wipe the residential construction industry off the map. The state of the residential construction market in California can only be described as “horrific”. On October 26 2009, the California Building Industry Association released its report on the residential construction permit activity for the month of September 2009, stating that there were just 2,920 permits issued for the month, and that they have lowered their permit estimates for 2009 to an appalling 37,700 units. These are unbelievable figures when one considers that the estimated population of this State is 37 million. The internationally recognized measure for housing production and permitting is the build/permit rate per thousand population. The California residential permit rate for 2009 is therefore a shocking one unit per thousand population. I cannot recall a permit rate this low in recorded history anywhere in the world. Yes – it’s that bad. If Texas was permitting at the same rate for 2009, just 24,000 permits would be issued (Houston 5,600). On an international basis at 1/1000 population the figures would be: the United States overall 307,000, Canada 37,000, Australia 21,000, the United Kingdom 61,000 and New Zealand and Ireland around 4,400 each. The reason of course for these unbelievably low California permit rates, is because the Governments at all levels in the State have essentially banned the construction of affordable housing. Essentially the planners have erected a Berlin Wall around the state, all but stopping the building of housing, particularly single family units vastly preferred by the population. Meanwhile, back in the normal market of Houston, they are merrily building starter homes of 235 square meters (2,529 square feet) for $140,000 on the fringes ($30,000 for the lot, $110,000 for actual house construction). The Annual Demographia Surveys (5th Annual Edition), the Harvard Median Multiples and many other income-to-house price studies (e.g. Randal O’Toole of Cato’s extensive work), clearly illustrate that when house prices exceed three times annual household income it causes inevitable supply constraint issues. It appears too that Dr. Housing Bubble is “baffled” why California had such an inordinate share of sub-prime, Option ARMs and other grossly distorted mortgage structures, and delights in blaming the Bankers (banksters as he sometimes refers to them) for the unholy mess that is California (the epicenter of the Global Financial Crisis). Households should not spend any more than three times their gross annual household income to house themselves, and importantly, not load themselves up with any more than two and a half times their gross annual household income in mortgage debt. As the California bubble inflated, financial institutions simply had to increasingly lend outside these historic norms, if they wished to maintain market share. The financial institutions – not all dumb, and no doubt acutely aware of the risks – were very keen to securitize it and off load the risks to others. What is really needed here is the understanding – as is being developed in Australia and New Zealand – that structural changes need to be put in place to ensure that these disastrous housing bubbles don’t get underway again (refer to Performance Urban Planning for access to New Zealand Government statements. For recent Australian news and reports: Bottlenecks choking recovery | The Australian, More houses, not taxes | The Australian, AdelaideNow... Home ownership dream fading, say Flinders University researchers). These issues are not “ideological” or “environmental”, but have much more to do with deliberately misleading information being generated by professionals in collusion often with political and commercial elites, who are keen to promote housing bubbles for their own ends. Yet most Americans seem to persist in ignoring the real structural issues – and instead are choosing to “paper over the cracks” by financially bailing out everything in sight. This is an exercise in futility if ever there was one, as the Japanese have learned to their cost, following the collapse of their property bubble in 1989. It is to be hoped that the Americans belatedly start getting the public conversation underway, in working together exploring real solutions – like unnecessary supply constraints – to these unnecessary housing bubbles. We have done this in Australia and New Zealand these past five years and it is beginning to work. Hugh Pavletich is a New Zealander with thirty years experience as a commercial property development practitioner. He served as President of the South Island Division of the Property Council during the early 1990’s. In 2004 he was elected a fellow with the Unban Development Institute of Australia for services to the property industry. He has been involved with changes to local government financial management, heritage and land supply. During 2004 he teamed up with Wendell Cox of Demographia to develop and co author the Annual Demographia International Housing Affordability Survey. The 5th Annual Edition of this Survey was released January this year. His website is www.PerformanceUrbanPlanning.org. Submitted by morgan on Fri, 06/17/2011 - 17:28. These numbers tell us that we still have to wait a good while until things get normalized on the housing market in US. I don't think anyone would be surprised to hear that. I should be thankful that I can afford to pay for my mortgage and my home insurance, a lot of people only dream about that now but hopefully things will get back on track sooner or later. Submitted by JustLaws on Tue, 12/01/2009 - 00:08. Hugh, I’m happy to discover this blog. 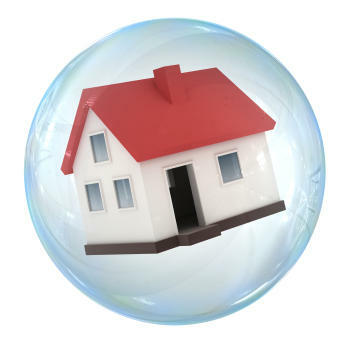 Your article on housing bubbles brings new perspectives and useful demographic data. Thanks. Who's to Blame for the Financial Crisis? (http://www.homeownersoftexas.org/blame.pdf) - Who were the culprits? TIME Magazine names 25. Texas Homebuilding and the Global Collapse (http://www.homeownersoftexas.org/collapse.pdf) - Was it good intentions or something sinister? The Corporation (http://www.homeownersoftexas.org/CorporateBehavior.html) - Why would so many big builders & finance companies behave so badly. Submitted by Ian Abley on Thu, 11/26/2009 - 06:13. Come off it Hugh. An elite agenda is necessarily ideological. Surely the ideology at work is environmentalism, making a moral virtue of the retreat of political and commercial elites from the industrial production of housing, and their preference for interest payments on mortgage debt. Professionals, like estate agents, planners, architects, and bankers are certainly in collusion with that elite ideology. That is not to say there is a conspiracy to plan a housing bubble. That is too crude. In Britain the financial market demand is for house price inflation, not a demand for house building which might suit the construction industry, and provide the utility of homes. All environmentalism does is justify more and more reasons NOT to build, and thereby ensuring that house price inflation can be sustained through a bubble, and beyond the bursting of that period of financialisation. By refusing to entertain the idea that capitalism is ideological and greening itself, you can't explain why so many professionals collude so spontaneously, without overt conspiracies, to build fewer homes than demographic growth demands. You have proven through Demographia that around the world average house prices have variously become disconnected from household income multiples. But you jump from there to the idea that this is all a plot to undermine a "free market". The market IN FINANCE is more important to people than the construction of homes to live in. People want homes to be an appreciating asset, not a depreciating utility, like a pair of trousers, or a car. They want their home to appreciate in value, and they want to be GREEN. Being GREEN makes opposing new house building, or constraining "sprawl", seem virtuous. That anti-development stance also happens to sustain the basis for house price inflation through chronicly low rates of building, or land value inflation. People don't wake up thinking that they will inflate the value of their home by resisting sprawl in principle. They may have specific local onbjections to particular schemes that add up regionally and nationally to a frustration of development. They think that sprawl is bad for the planet, and they are opposed to what they believe is Climate Change caused by sprawling development. By hoping for a "free market" solution to the problem of unaffordability you have assumed that it is politicians, businesssmen, and professionals who have distorted the market for reasons of narrow and immediate self-interest. However all these people argue AGAINST house building because they think that environmentalism is a moral matter above self-interest. They are saving the planet in their minds by not building, or opposing building. The fact that this has had the effect of making the lending of mortgages on inflated land values a much larger business than the construction of homes is a consequence of their "build less" or "build compact" environmental morality. They didn't plan to cause a sequence of bubbles. Once started they don't know how to stop it. The only way to stop national or regional housing bubbles recurring is the establishment of the freedom for everyone to build a home on cheap agricultural land without any government or professional hinderance EXCEPT technical building regulations on structure, fire, utilities etc. That is an ideological argument too. The political freedom to build wouldn't be a "free market" because not everyone could raise the finance to buy cheap land and pay for construction. But it would mean people were free politically to attempt to raise the finance to build. More importantly it would mean that the price of an existing home would not have been inflated over the cost of building a new one. It is that which is the basis for the financialisation of the British planning system since the early 1970s. That process has been seen as ideologically beneficial in a home owning democracy in the 1980s and 1990s, while in the first decade of the twenty-first century the expansion of mortgage finance and housing equity withdrawal kept the economy going. So come on. See the green ideology, largely based in a shifting political and economic reality, and not just the demographics. Submitted by Hugh Pavletich on Thu, 11/26/2009 - 18:56. It is wonderrful to have an Engishman and a New Zealander from both sides of the planet, debating the drivers over the top of the Americans! Lets hope the Americans join in as well with their perspectives on the drivers of urban strangulation and inappropriate infrastructure financing. After all, this article was very much directed at the Americans. I have been hammering away on these issues for five years now, mainly in the Antipodes. There is one comment you make that is seriously flawed in my view - "However all these people argue against house building because they think that environmentalism is a moral matter above self interest". Lets be clear from the start - local government and land use planning issues bore most people to tears. Try discussing these at any social function and watch peoples eyes glaze over with boredom! As a former industry leader, Im rather amused by your suggeastion that people put their moral concerns about these issues, ahead of what they percieve to be their own self interest. With respect - I would suggest this is well wide of the mark. In my experience, much of the problem at its core can be attributed to Governments at all levels, not being able to cope with the financing of infrastructure. Most simply haven't a clue about how to finance infrastructure appropriately. Further to this, Parkinsons Law (something most younger people have never heard of) ensures that infrastructure spend is constantly pressured. Environmentalism is nothing much more than a "sales aid" by Governments unable / unwilling to cope with growth pressures and their buddies from the private sector looking for excuses to shut their competitors out. When protectionists from the private sector and politicians team up - I refer to this as the "unholy alliance". Put bluntly - environmentalism is simply a way for them to suger coat or morally justify to the gullible, their incompetence and desires to control. The sad reality is however that most professionals, such as economists, planners and properrty appraisers / valuers, simply have not got a clue about what pricing in a normal urban market should be. And most importantly - the critical relationship between house prices and the underlying incomes supporting them. If professionals had been properly trained in these matters (I focus on economists within the earlier article "Housing Bubbles & Market Sense") - much of this nonsense would have been stopped in its tracks decades ago, within the appropriate forums. The consequences of strangling fringe land supply and inappropriately financing infrastructure, should have been blindingly obvious to economists, planners and property appraisers / valuers. It is critically important to thoroughly understand the drivers of these problems - so that pragmatic and realistic political solutions can be put in place, suitable to local political conditions. We are now very much focused on solutions in Australia and New Zealand. Submitted by Ian Abley on Fri, 11/27/2009 - 05:28. I'm looking forward to American's replying to you. It is Thanks Giving at the moment, so a few days before some do perhaps. I've never been to NewZealand or Australia, so I don't know what they are like any more than I know America. More is the pity. I do know what life is like in Britain, I think. You accept that people use environmentalism to morally justify political and commercial self-interest. Some people use environmentalism cynically, and greens themselves call that "greenwash". My experience in Britain is that people really believe the eco-morality themselves. Sustainability has become socially accepted as an imperative. It has the effect of making political and commercial self-interest seem like self-less concern for the planet, and greens can feel virtuous. I rather like political and commercial self-interest. You know where you are with that. What is tedious is the eagerness to justify evertything in moral terms of sustainability, and how certain behaviours and actions are bad for the planet. So perhaps your experience in the Antipodes is more one of cynical "greenwash", while in Britain people widely believe sustainability is possible and a moral duty. Here environmentalism is ideological. That is why it is so effective at getting complete strangers to collude as fellow moralists in the socially accepted retreat of capitalism from production. It is getting harder to resist the moral imperative to "go green" and "modify behaviour". people love to talk about how their daily lives and property investments are doing a little bit to save the planet, and only wish they could do more. The morality of environmentalism, like any religion, gets into your being. Green can't be reduced to cynicism, and the anti-development consequences can't be explained as a conspiracy. Submitted by peter on Wed, 11/25/2009 - 13:42. The California residential permit rate for 2009 is therefore a shocking one unit per thousand population.... The reason of course for these unbelievably low California permit rates, is because the Governments at all levels in the State have essentially banned the construction of affordable housing. Essentially the planners have erected a Berlin Wall around the state, all but stopping the building of housing, particularly single family units vastly preferred by the population. If the reason for the low rate of housing permits is because of planning regulations, then why is it that permits were issued for more than 200,000 units per year in California as recently as 2004 and 2005? Did California's land use regulations suddenly change? ...or maybe it had something to do with the recession and collapse of the housing bubble? There are a lot of factors that affect the rate of housing construction, and among those are the condition of the economy. I think the author should look at housing permit data over the full business cycle before drawing a conclusion about the state's land use regulations. Submitted by Hugh Pavletich on Thu, 11/26/2009 - 19:11. You raise a hugely important issue - how permit rates should oscilate through the building cycle of a normal housing market - something the strangled urban markets of California are ceertainly not. The 200,000 unit permitting figures for 05 / 06 are not particularly high for a State with 37 million people and I understand a housing stock of about 13.3 million. My guess would be that California should be replacing about 0.4% of its housing stock annually (a whisker above where I think the US Census would suggest) - so that would suggest that in excess of 53,200 should be replaced annually at this stage. Plus the usual household formations and allow for increasingly lower household densities and second / vacation homes. 200,000 is only a build / permit rate of 5.4 / 1000 - which I would suggest is very low through the so called boom - which should be properly described as a bubble. There is a world of difference between a boom and a bubble. I do hope others from the construction industry in the United States expand on these very important matters. And in particular - explain what the build / permit rates for California should be through a normal building cycle.